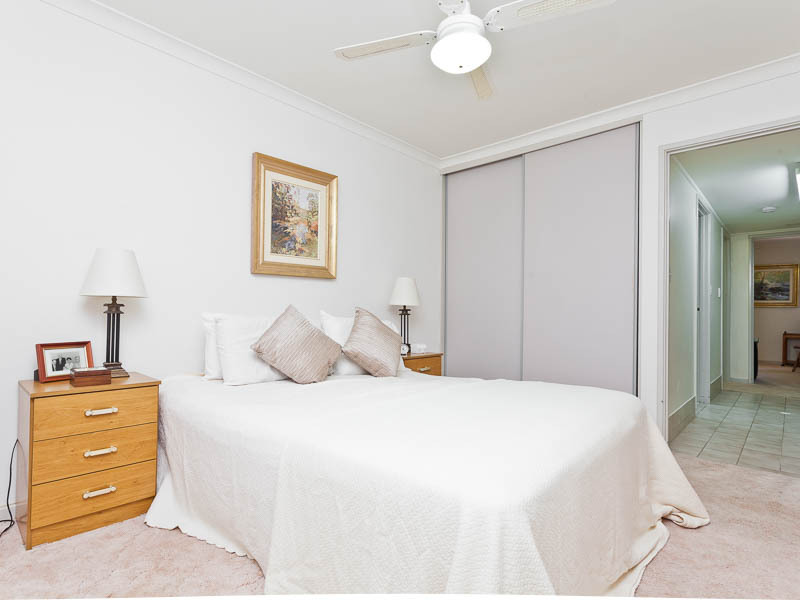 If you’re looking for the perfect lock up and leave’ over 55’s accommodation, this is an ideally situated ground floor, two bedroom, one bathroom residence. 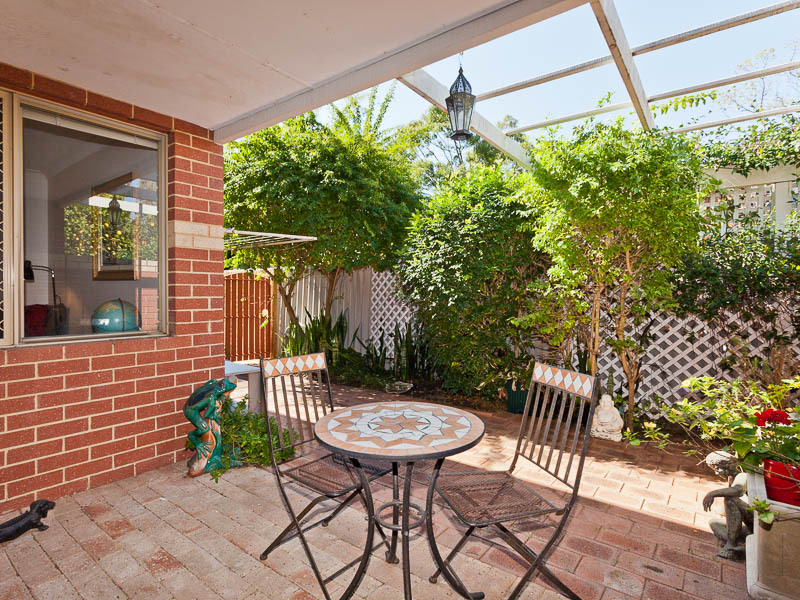 The superb layout incorporates an open plan kitchen, dining and lounge, with dual walk through access to the two spacious bedrooms. 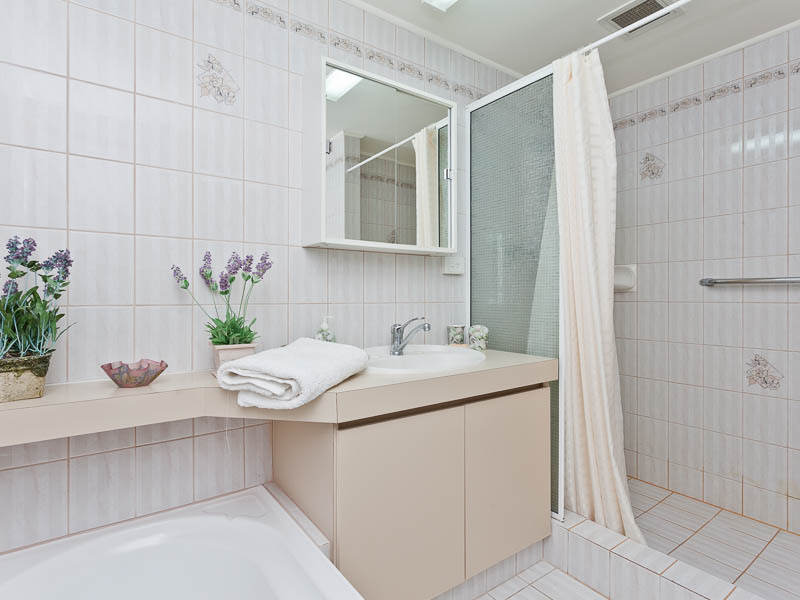 These are separated by the bathroom and separate toilet, and there is also a clever use of space to include a laundry and linen cupboard within the passageway. 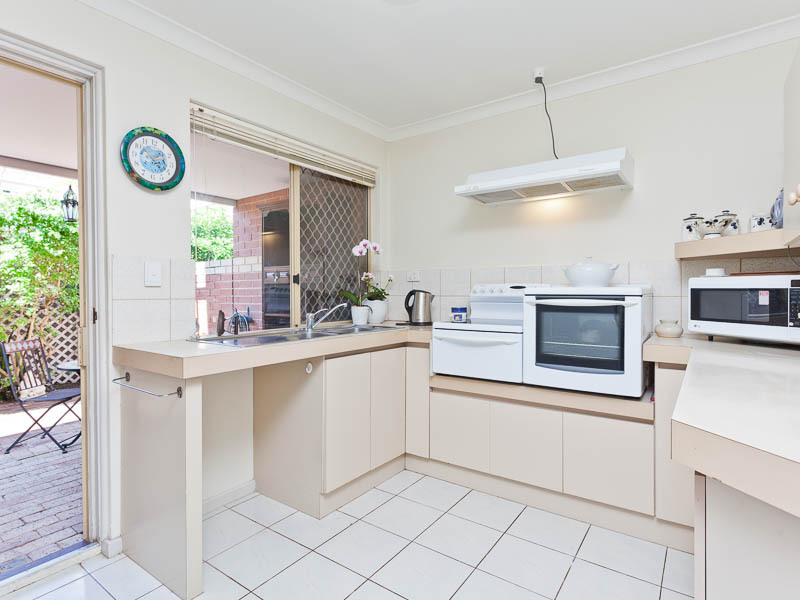 The kitchen is light, bright and extremely functional with a security screened door leading to the beautiful rear courtyard. 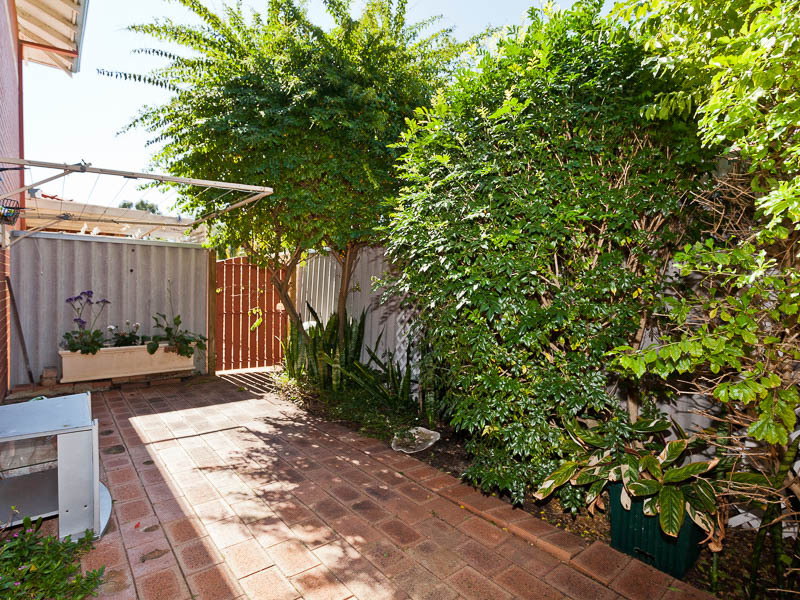 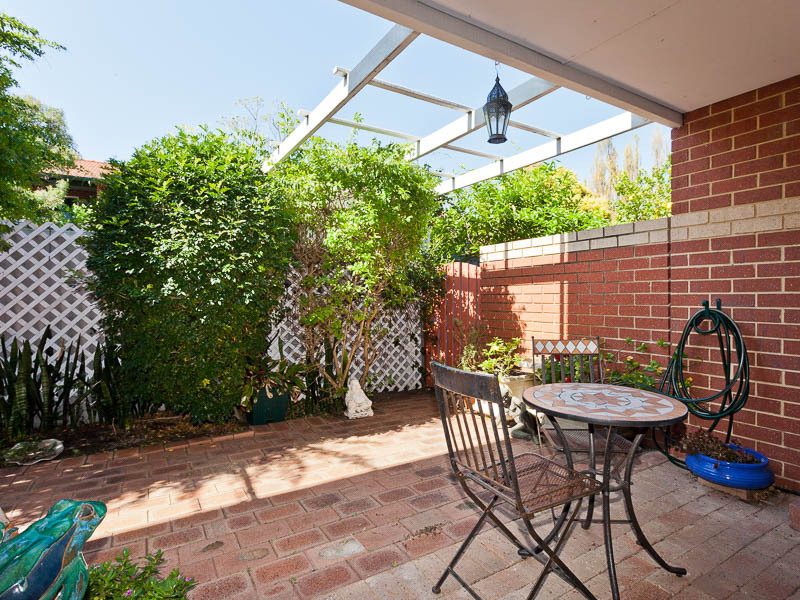 This is completely private and provides options for enjoying the sunny days, having a quiet BBQ or even growing various veggies and plants. 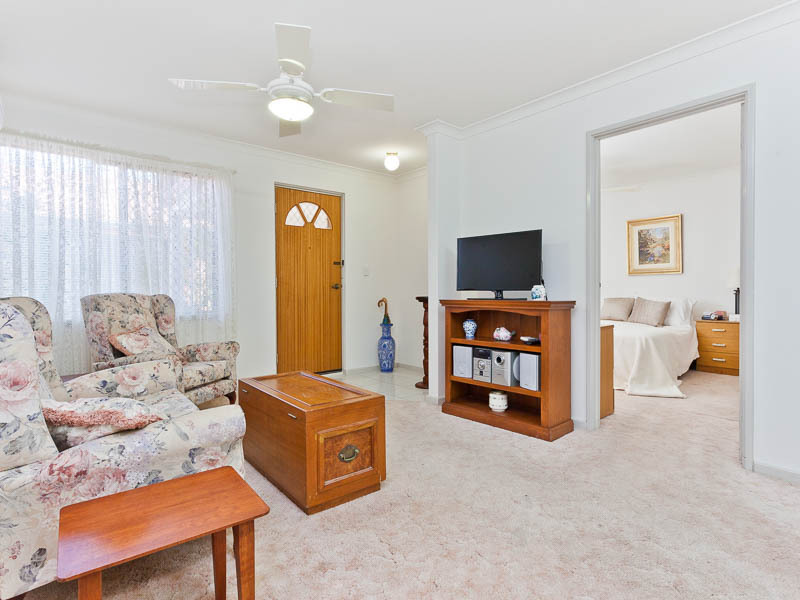 The paint has been freshened up and the carpet is in great condition, resulting in a warm and spacious ambiance throughout. 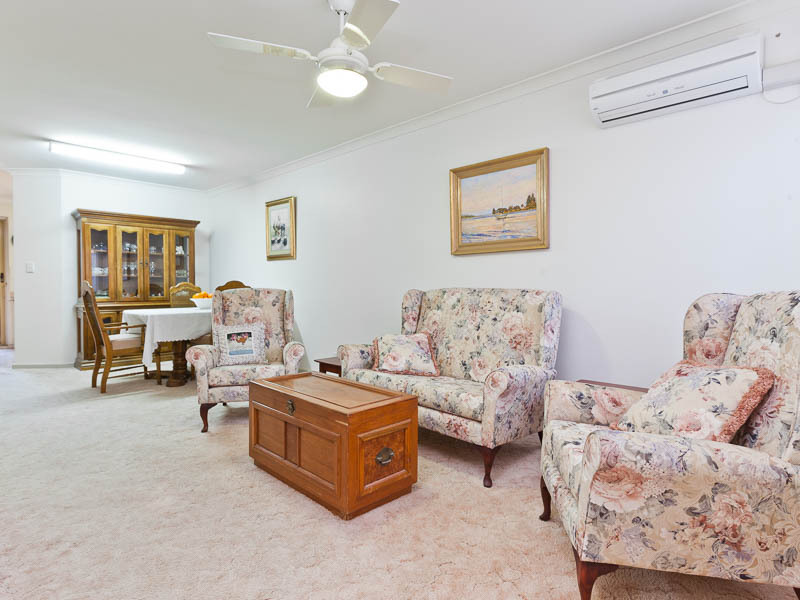 Add the split system air-conditioning, the security screens and you have the perfect spot to enjoy an easy care lifestyle, in one of Wembley’s premiere over 55’s complexes. 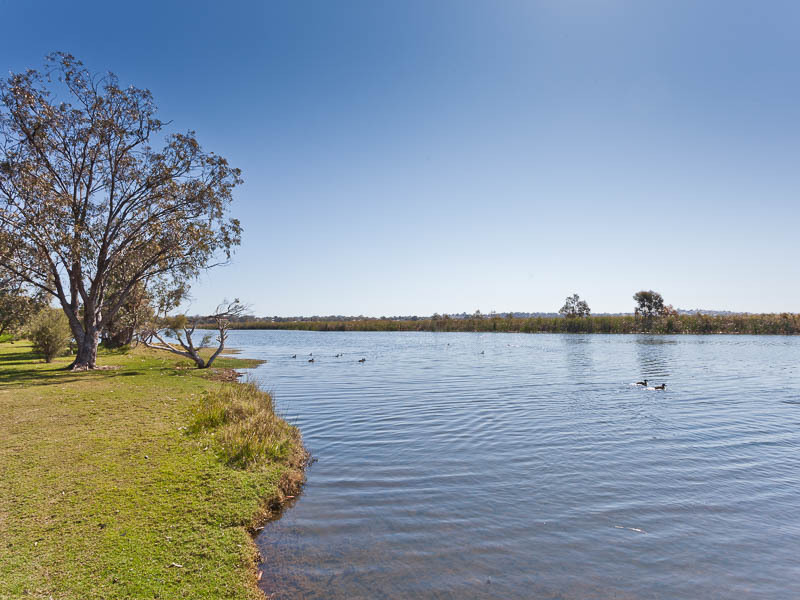 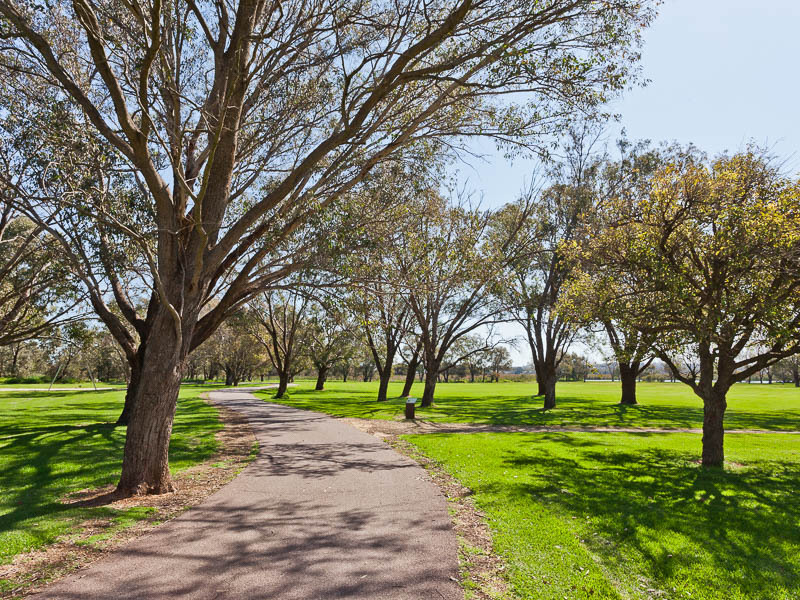 Situated across the road from beautiful Herdsman Lake, with all its inherent walks, bird life and extensive open lawn areas, total relaxation is just metres away! 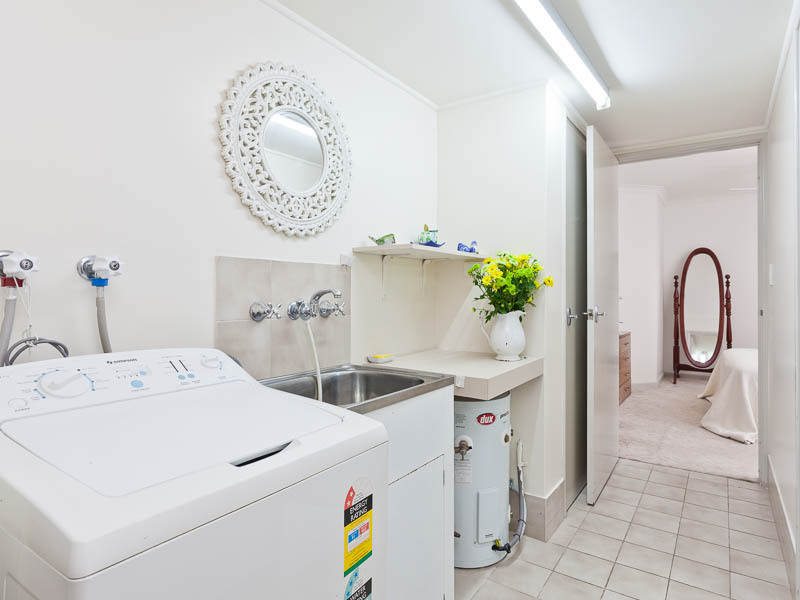 Residents also enjoy a central function room which includes kitchen, hairdressing and toilet facilities and is used for socialising and meetings. 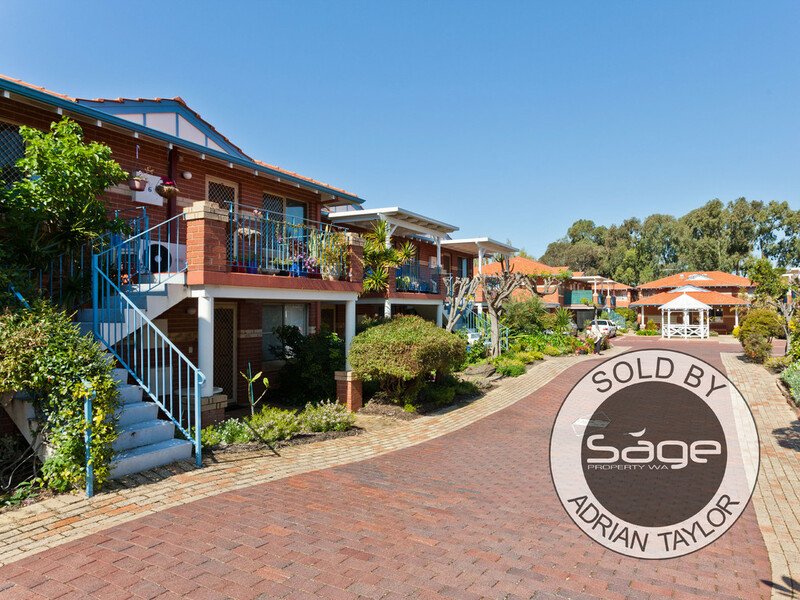 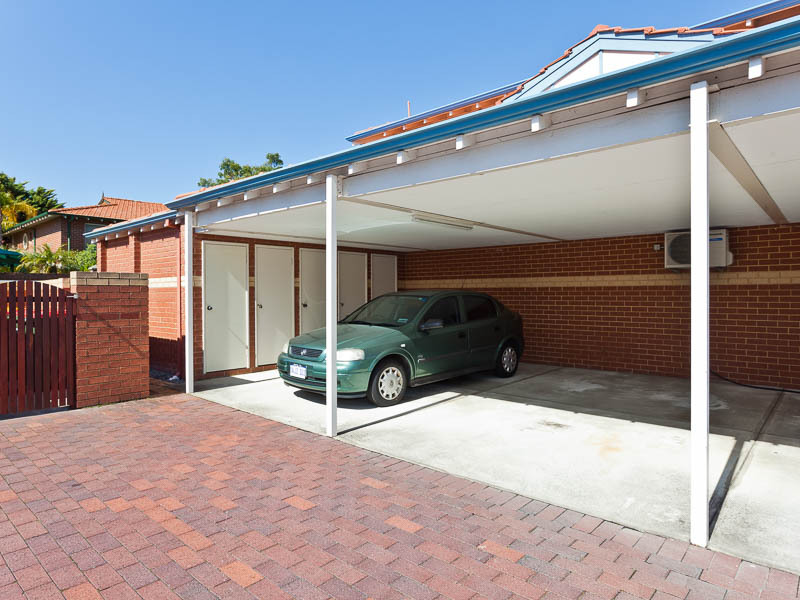 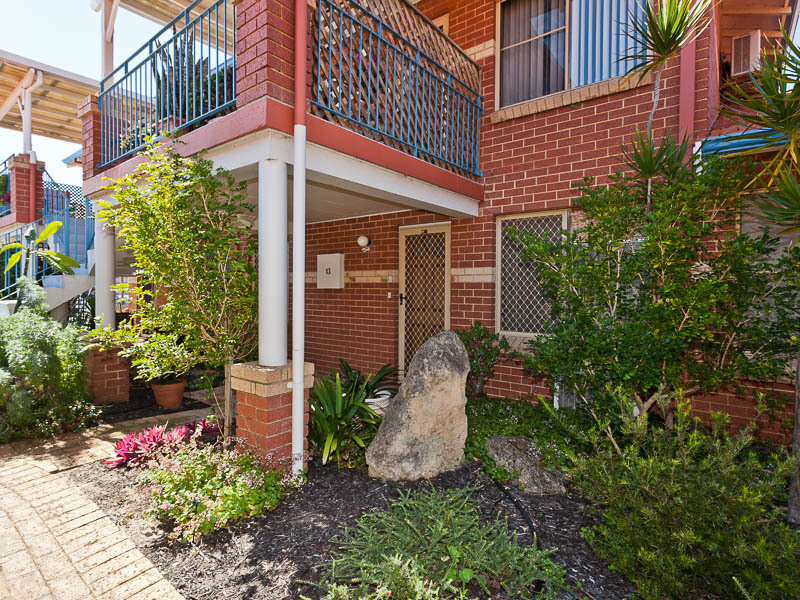 The general location of this property is fantastic with convenient access to bus routes, parks, shopping, cafes and dining facilities, and it comes with a conveniently located single car bay and a small lockup for safely securing extras. 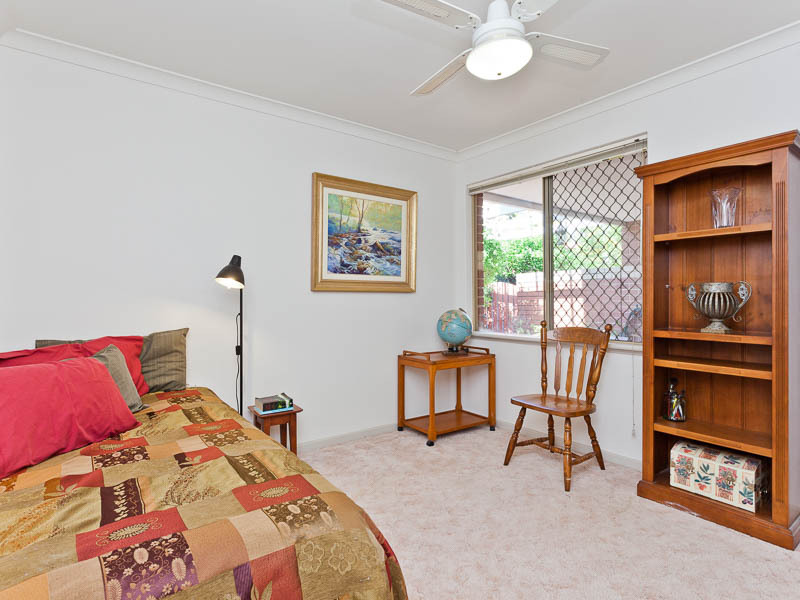 There is an appointed caretaker onsite to ensure the integrity of the complex and assist with any issues.